‘The Path of the Gods’ – how could a simple walk deserve such an elaborate and romantic title, even by Italian standards, wouldn’t that be just a little exaggerated? Well, after just completing this particular walk, which is one of the many stunning paths of the Amalfi coast, I must admit I totally agree. The scenery from this walk, which starts in Bomerano and finishes in Positano, is nothing short of spectacular and awe-inspiring, photographs really don’t match the beauty of the coastline. 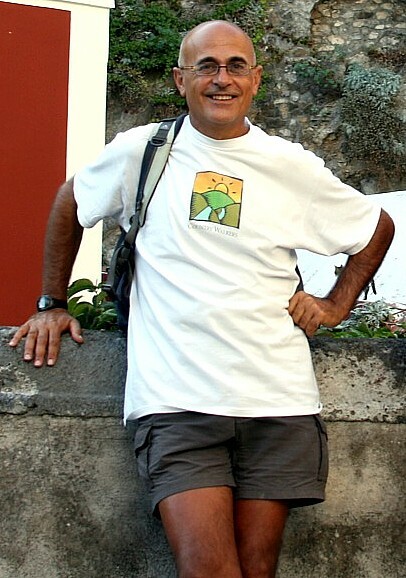 Our guide Giovanni met us in Bomerano which is a 40 minute drive from our hotel in Positano. Do you really need a guide for this walk, you might ask? Well, even though I have done other walks around the coastline, some with and without a guide, I haven’t participated in this particular walk. Listening to others’ stories of how a short 3-4 hour walk ended up being a 10 hour trek, and also not being familiar with this particular part of the coastline, I felt it was prudent to engage a guide. Giovanni is a wealth of knowledge of the area and its history and pointed out many fascinating tales of life living on the mountains. Farmers, shepherds and woodsmen were so isolated many very rarely ventured into the towns which as the crow flies are relatively close. The trek took us past caves and vineyards with sheer drops to the sea below and on this particular day a mist was rolling in which really did give the scene an almost eerie feeling. Falcons were circling above focused on some unfortunate prey in the scrub and you could faintly hear the whoosh of their wings…it really was a magical experience. Giovanni loves to do this walk starting from Bomerano, not from Positano as the views from this angle are wonderful and I must say walking from Positano up to Nocelle where the track begins is not for everyone, and is very strenuously uphill. The other enticement is that when you reach Nocelle, a very small town serviced by the Positano town bus, you can decide whether you would like to continue the walk down to Positano, or sit in a great little family restaurant, Santa Croce, and feast on the delights of a home cooked lunch with yet more spectacular views of the coast all washed down with some delightful local vino. Guess which option I prefer? The paths are relatively well maintained but good walking shoes are essential as are sunscreen, hat and water. How fit should you be? Well, I won’t kid you, these walks aren’t a ‘walk in the park’ but if you are relatively fit and have plenty of time to stroll and gaze at magnificent coastlines, you shouldn’t miss this walk. 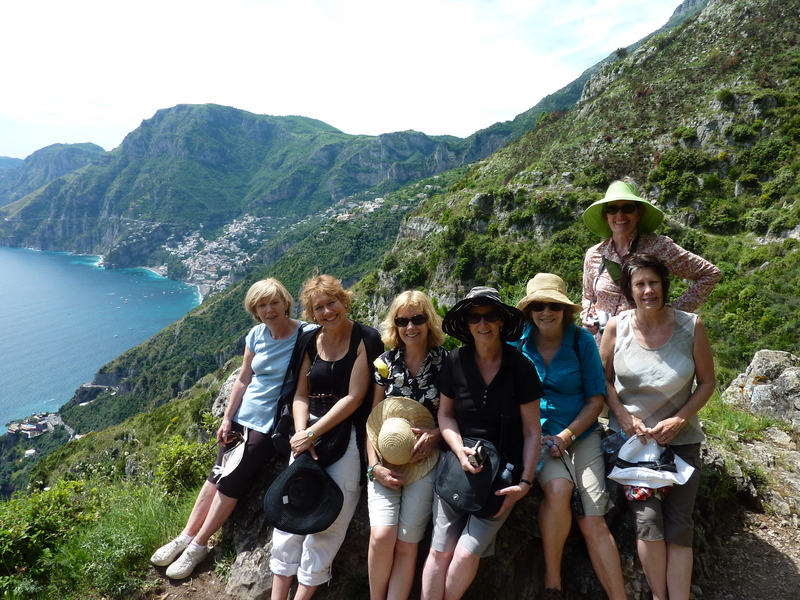 Although this walk is included in our Italian Indulgence Ciao Bella Tour it certainly isn’t a requirement. If finding the perfect spot for coffee or an aperitivo sitting on the beach in Positano is more to your liking – that’s fine. Or maybe some shopping would do? The Walk of the Gods (Sentiero Degli Dei in Italian) starts in Bomerano and finishes in Positano but you can cut the walk short and stop for lunch in Nocelle and catch the local bus down to Positano (my preferred option). The whole walk will take you around 4 1/2 hours but if you stop in Nocelle it should take around 3 hours. You will need good walking shoes, water, hat and camera, of course. Do you need a guide? Well, we love to have experienced guides who really know their stuff, but if you have a very good map of the area, you might be ok. I have heard horror stories of those who missed signs turning a 3 hour walk into a 10 hour nightmare. 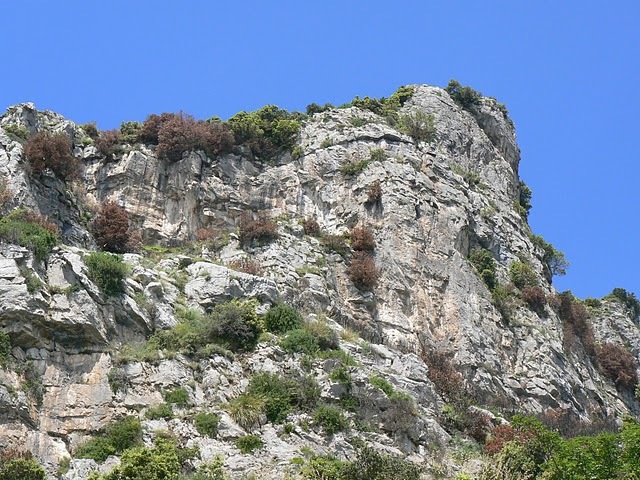 This entry was posted in Uncategorized and tagged Amalfi Coast walks, How to walk the Amalfi coast, Path of the Gods, Walk of the Gods by italianindulgence. Bookmark the permalink. The track on Sentiero Degli Dei is very well maintained. You can make a simple deviation at Col la Sera by turning right up hill and sweeping around the mountain side. This track takes you above the main path but is still signed by CAI red and White stripped markings. You walk through the most amazing fragrances of herbs and wild flowers before meeting up with the main tourist track after one hour. thanks Chris, Next time, walking poles it is. Thanks for responding and reminding me of this wonderful place. The Santa Croce in Nocelle is such a beautiful Restaurante/Coffee Stop and the two young brothers who own it are charming and serve excellent food. 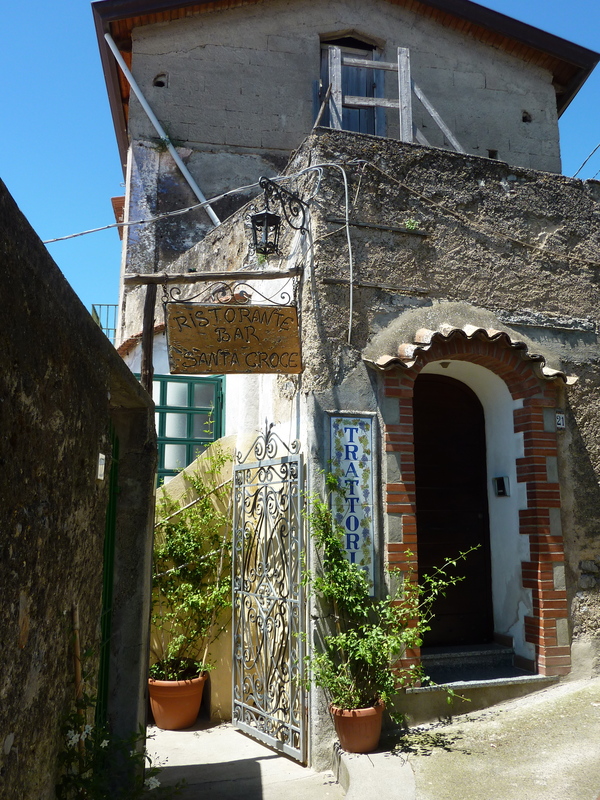 My wife and I were in Positano and took the local bus to Nocelle and the walked to Bomerano. 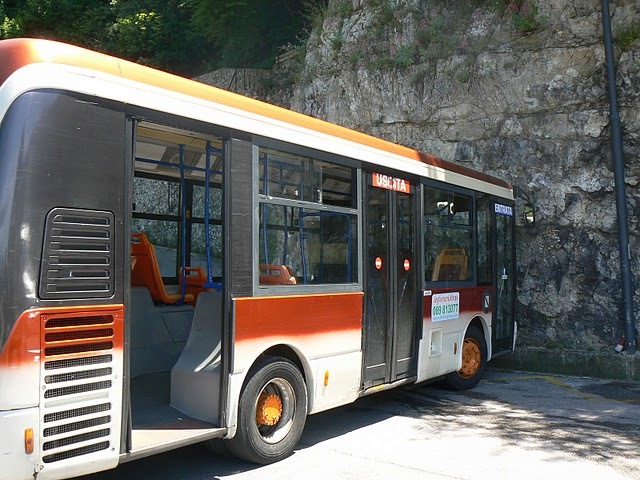 From there we took the local bus to Amalfi, changed buses and then back to Positano. What ever you do, you must eat in the Crazy Burger (go figure) in Bomerano. One of the best meals we had in Italy (ask for the potatoes and sausage). Thanks for posting this! We are staying in Positano for 4 nights in September and want to do some hiking on the coast. Thanks do much…I will be doing the same thing again in a couple of weeks. Always exciting! Enjoy. You can contact him there. Enjoy. That’s great, I know you’ll love it. Just catch a bus to Bomerano walk to the small town centre by the white church and follow the signs for Sentiero degli Dei. 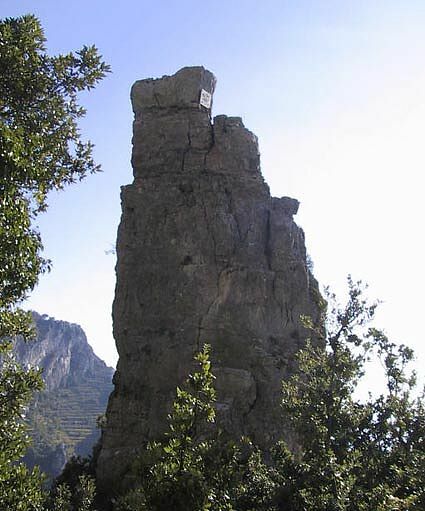 Brilliant walk and don’t forget to call in to The Santa Croce Restaurant in Nocelle for a coffee or a meal. Fabulous views over Positano, good food at realistic prices and brilliant service from the family. If you started your walk in Amalfi then catch the boat back to Amalfi. does anyone know the name of the bakery(or do they not call them bakeries) in Bomerano. They had the best dessert I have had in Italy. I can not seem to find anything on the website about them. This is the town where we started off the Walk of the Gods. Hi Chris, I am not sure if it is the same ‘pasticceria’ but I also had a wonderful sweet there also but it was in the bar, just before the walk. It was a speciality of the area with a pear ricotto inside a biscuit type arrangement. Don’t know whether this is what you had, but it was wonderful. There are two bars quite close to each other and very close to where the path starts….this bar was the one that was the wasn’t the closest…but just a few metres away.